Carsten Kaiser, sociologist (M.A.) and cultural scientist (B.A. ), graduated from the Glen Buschmann Jazz Academy Dortmund (Germany), and visited the conservatory of the Hoogeschool Enschede (Netherlands). He is working as a producer for several of the biggest German media publishers (Wiley, Lübbe, Weltbild). His work focuses mainly on vocal production and the professional requirements of project studios. During the last ten years, Kaiser has been writing as a freelancing author for a number of national and international audio & recording magazines (Sound On Sound, Sound & Recording, and others). 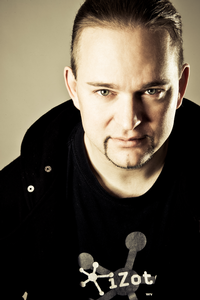 The German online magazine Bonedo is presenting his workshops about vocal and DAW production on a regular basis. Kaiser also shares his experience in numerous books, which are released by several German publishers. He is the author of “Background Vocals”, which is the only systematic work in the world about performing, arranging and producing backing vocals. His book "Homerecording" is the most comprehensive publication in the German language about the requirements of project studios. Kaiser’s latest publications, "1001 Recording Tips", "1001 Mixing Tips" and "1001 Mastering Tips", are reference books addressing intermediate and advanced home recordists. Several other titles are available. Therefore, it’s no big surprise that he is a sought after specialist translator, too (e.g. translating Mike Senior’s “Mixing Secrets” into German language). Kaiser was juror for the German Rock & Pop Awards and has mixed international artists like the platinum selling vocalist Robin Beck (“First Time”).